In this collection, the authors discuss oropharyngeal trichomonosis, a disease that affects wild and domestic birds, summarizing the most significant aspects of the disease: the biology, diagnosis and treatment options. Recent scientific advances in the pathology, epidemiology and control of the disease are also discussed. Following this, current animal breeding strategies in organic farms are analyzed to determine the animal breeds that could potentially benefit from different organic dairy farming systems. In a subsequent review, a status assessment (based on a comprehensive literature review) of the conservation issues of the West African lion is conducted. The authors conclude that without an intensive effort to rectify the factors for the extinction of the West African lion (human population growth and urbanization, desertification, decline of food sources, cattle herding, hunting and farming) and increased public acknowledgement of this comparatively neglected lion subspecies, the West African lion has a bleak future. 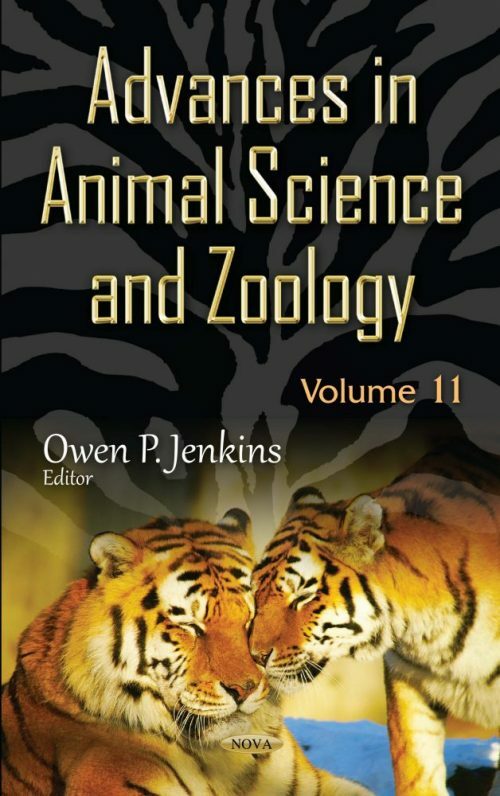 This book includes a review of the knowledge of extended family bonds between females in mammals and birds, focusing on how waterfowl are particularly predisposed to female-centered kin clans. A study is presented which investigates whether lineal kin, i.e. mothers and their adult daughters, form long-term bonds in a well-studied model organism within waterfowl, the greylag goose. The Atlantic Forest biome is exhibited as one of the most biodiverse and threatened biomes in the world. The authors conduct a quantitative analysis on the published data about parasitism by Amblyomma ticks on birds of the Atlantic Forest, testing whether ecological and morphological variables of the host are associated with parasitism by ticks. This compilation also includes a review of Cryptosporidium, describing the history, taxonomy, epidemiology cycle, clinical signs, diagnostic, treatment and prevention. Next, exposure of Drosophila suzukii, a fruit fly species native to Southeast Asia, to two fruits, blueberries and raspberries, is analyzed for possible effects on sexual behavior and fecundity. The parasitoid jewel wasp genus Nasonia is offered as an excellent model system to investigate genetic, behavioral and ecological aspects of chemical communication. Three main pheromone communication systems are discussed in light of their respective chemical basis, hierarchical interplay, species-specificity and potential contribution to prezygotic reproductive isolation. In closing, the clinical signs of Giardia infection are discussed, including delayed growth, dehydration, weight loss, and recurrent diarrhea. The occurrence of Giardia spp. in birds from a particular site is studied to demonstrate the extent of the disease, its specificity to its hosts, and its risk and transmission potential.